While walking the dog just now I saw a tree down by bridge 86a. It completely blocks the canal & part of the towpath. There is currently one boat waiting for it to be cleared. Yardley, not a good area to have to stop more than 5 minutes!! 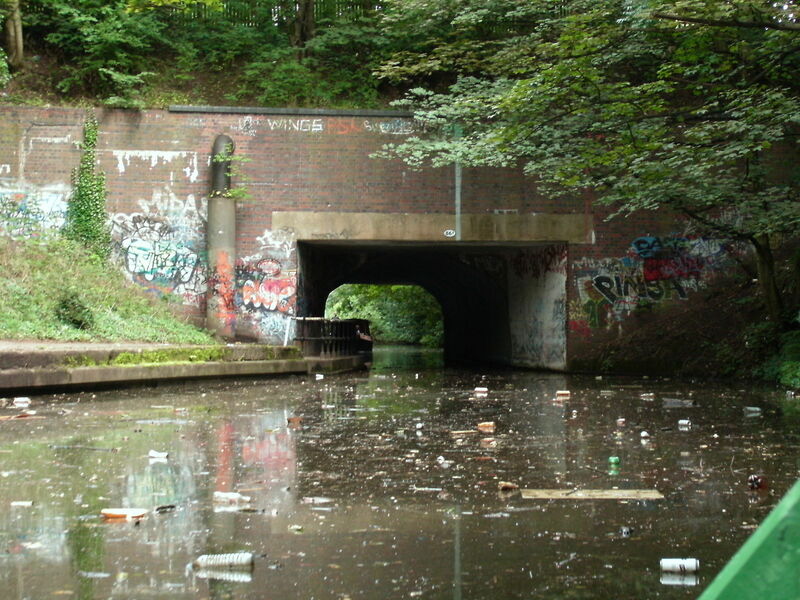 To be fair it is not so dirty now, there is a volunteer litter pick-up team which has done a lot to improve the appearance of the canal. Mind you, I wouldn't leave the boat there (even if I could get it near the bank) and I live about half a mile away. Its all cleared now, some slices of the trunk have been left on the towpath side, if boaters don't have them, the local 'yoof' will just toss them in the canal.